A valid student photo identification card must be presented before books can be borrowed. Undergraduates may borrow up to 30 circulating books for 3 weeks. 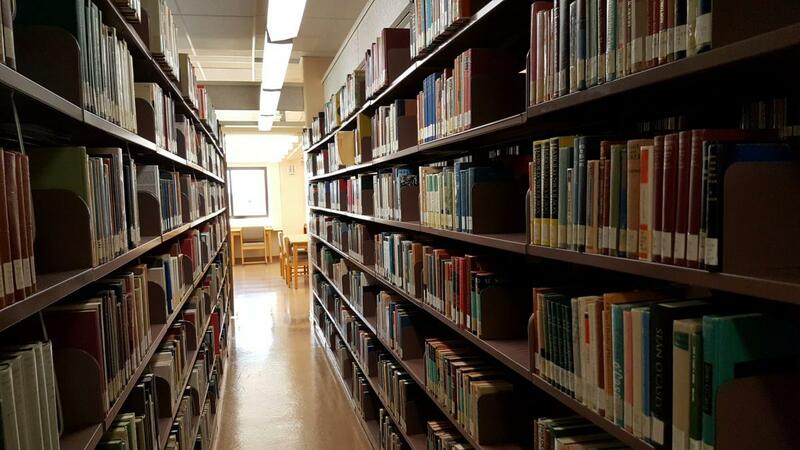 Graduate students may borrow up to 50 books for 4 months, subject to recall after 3 weeks. All books may be renewed up to 3 times unless requested by another borrower. Please know that if a book is recalled, a borrower will normally have three days to return the book, notwithstanding the original due date. The due date stamped into the book at the circulation counter serves simply as a courtesy reminder of the due at the time the stamp was applied. If a book is recalled before the date stamped into the book, the new recall due date takes precedence. For greater clarity, the due date listed in the library’s online catalogue is the official due date of the book at any time. Your professor may request that the library place material on 1, 2 or 4 hour, 1, 3 or 7 day reserve. The Reserves list enables you to search for reserve material. For items with a loan period of more than four days, a reminder notice will be sent to the email address associated with your library system account before the item is overdue. Two overdue notices will be sent to the same email address after the item is overdue. After an item is more than 30 days overdue, you will be sent another notice, and a $5 fine will be applied to your account. Lost book - $5 service charge plus fines owing plus replacement cost for in-print titles; $30 for out-of-print titles. If you have incurred any library fines, you may pay in person at the Access Services desk on the 2nd floor of the JN Desmarais Library (cash or debit) or by cheque, money order, or credit card. Credit card payments can be made by telephone. Please call the Borrower Services at 1-800-661-1058, extension 4 or 705-675-4800 to pay with VISA or Mastercard. All items on order are indicated in the online catalogue. If there is a particular title that has been received but is not yet available for circulation, please fill out a CAN'T FIND A BOOK? form available on the pods containing library chromebooks. Under normal circumstances, you will have the book in your hands within 48 hours. You may also use this slip to request that the library search for a book missing from the shelf. For further information about User Information Services, contact us. Login to your library account through the catalogue to renew your books, to see which books you have out, to place holds, and to verify whether you have fines owing. Your username and password are the same as your LaurentianID account.